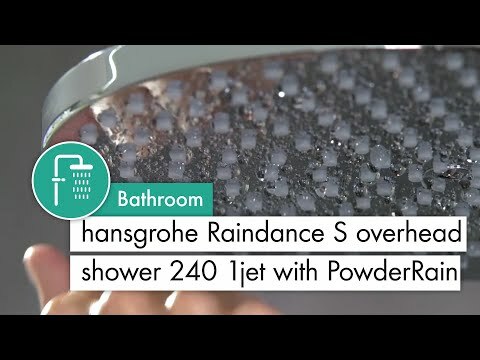 PowderRain Technology - Nature has shown that when concentrated, countless small objects combine together to deliver a more intense impression. That’s how PowderRain’s advanced new spray technology creates a cascade of droplets that cocoon so much more of the body and intensify its skin moistening effect. As a result, the water falls where it should - onto your body and nowhere else. Splashing becomes a thing of the past, it’s quieter too, thanks those same microscopic beads of aerated water. 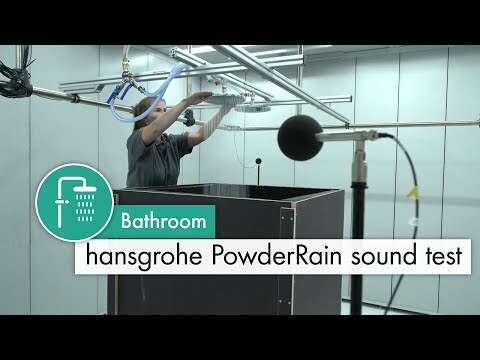 XXL Performance - You really need to have experienced this: showering pleasure on a large scale with jet types that have an unashamedly feel good factor. Hansgrohe's hand and overhead showers, with a diameter of between 100 and 600 mm, envelop you in a real water dream – and ensure XXLPerform in your bathroom.